Shona Banda in June, after she was booked into jail and released when she posted bond. 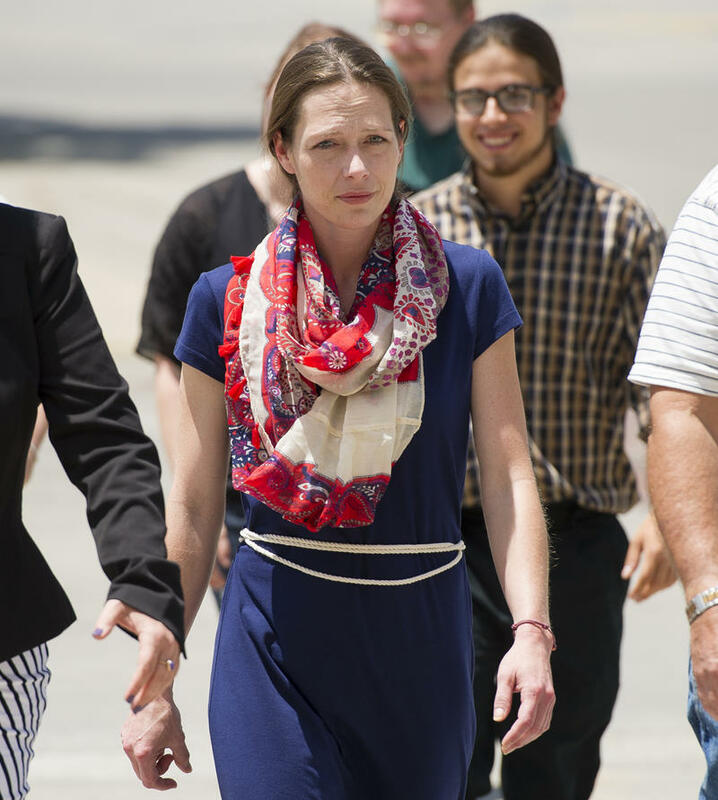 The Garden City, Kansas, resident, who uses cannabis oil to treat her Crohn's disease, faces criminal charges related to her marijuana use. Law enforcement officers searched Banda’s house and found marijuana and a device for turning it into oil after her son spoke up about her use of it during an anti-drug presentation at his school last year. 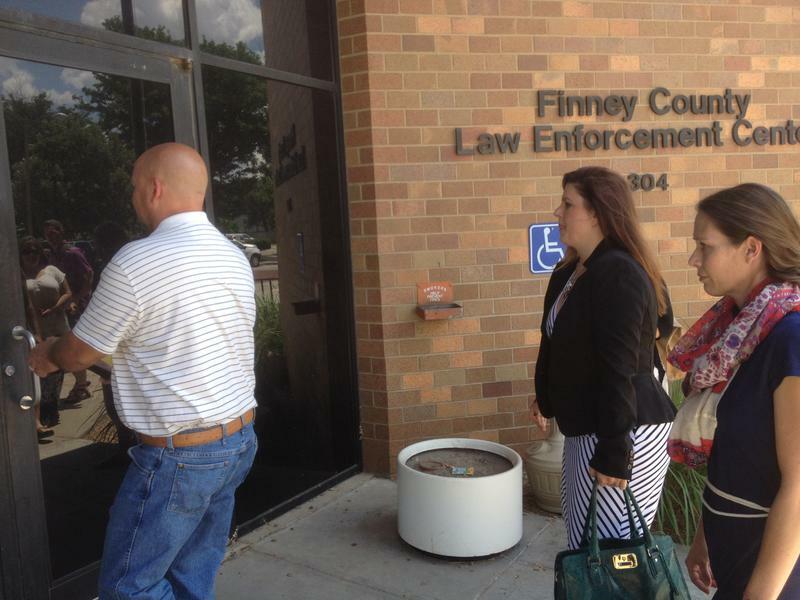 Banda’s son was removed from her custody and she has a pending court date in Finney County on the criminal charges resulting from the search. Banda was already a prominent voice in the medical marijuana community when she was charged, having posted online and written a self-published book about how she created her own oil derived from marijuana to treat the symptoms of Crohn’s, a painful bowel ailment. The suit prepared by Swain and Pappas names Gov. Sam Brownback, Department for Children and Families Secretary Phyllis Gilmore and Banda’s local police and school officials as defendants. Banda said she “absolutely” still intends for the lawsuit to be filed. Swain and Pappas did not respond to requests for comment. When news reports first surfaced about the draft lawsuit in September, Swain posted a link to a Garden City Telegram story written by Heartland Health Monitor partner KHI News Service on her law office’s Facebook page. 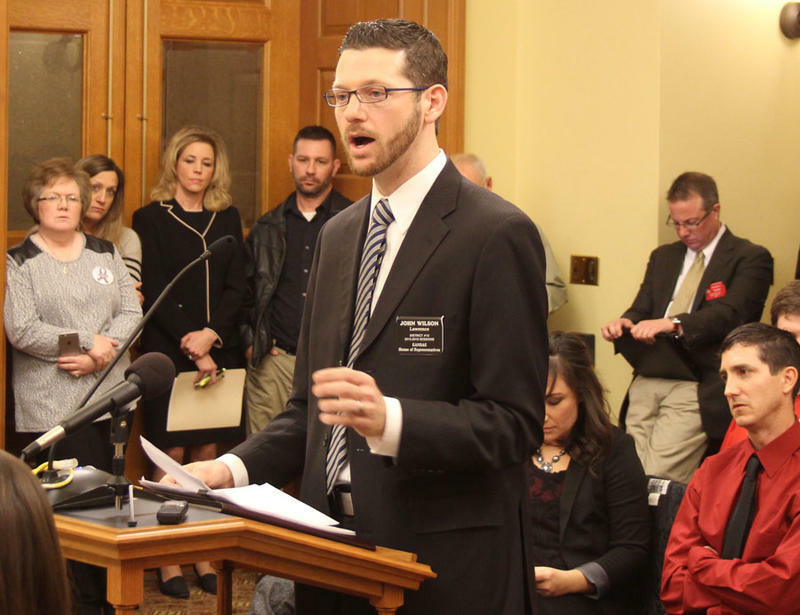 Broad bills legalizing marijuana for treating a wide range of illnesses have been introduced in the Kansas Legislature several times in the past five years but have gone nowhere. A narrow bill that would legalize low-THC marijuana oil for use in treating seizure disorders only passed the House last year, but has stalled this year after one Senate committee hearing. Hearings in Banda’s criminal case are scheduled for late July. 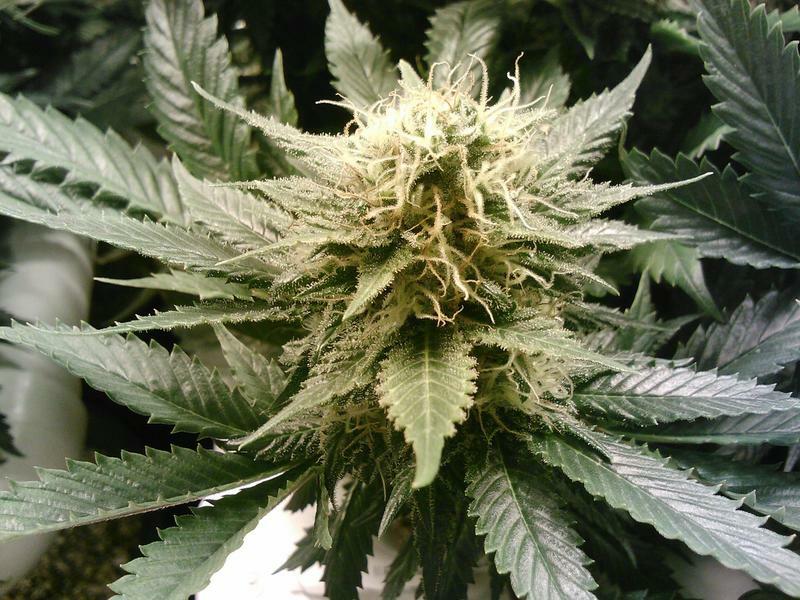 The judge has ruled she will be allowed to submit evidence of marijuana’s medicinal benefits. Banda said she’s aware using marijuana to treat her condition is illegal, but not using it is worse than any legal consequences. A Garden City woman whose home was raided March 24th after her son took issue with an anti-marijuana presentation at school turned herself in yesterday(MON) at the Finney County Law Enforcement Center. Heartland Health Monitor’s Bryan Thompson was there. Shona Banda, 38-year-old, was booked into jail, and later released after posting $50,000 bond. Her attorney, Sarah Swain, of Lawrence, says Banda is charged with five counts — four of them marijuana-related — plus endangering a child. If convicted on all counts, she could be looking at 30 years behind bars. “This is a woman who was using cannabis to treat a disease, Crohn’s Disease, that was absolutely debilitating. So, not only is it that she’s facing life imprisonment just due to the years, but essentially it’s a death sentence," says Swain. Kiley Klug and Tiffanie Krentz had just finished giving emotional testimony about their children’s persistent seizures during Wednesday’s hearing on legalizing cannabis oil when Sen. Ralph Ostmeyer spoke up. Ostmeyer, a veteran Republican legislator from a sprawling rural district in western Kansas, told the women he understood, because he has a 36-year-old daughter who was only expected to live to age 10. Lawyers for Garden City resident Shona Banda have prepared a lawsuit against Gov. Sam Brownback and the state agency that has custody of her child, claiming she has a constitutional right to use cannabis to treat her Crohn’s disease.